You’re not really a startup British carmaker unless you have a test track set up on an old World War II airfield, and now Dyson, the vacuum cleaner people can count themselves in. The technology center at the former Hullavington Airfield in England will bring the British manufacturer’s investment to 200 million pounds to create engineering work spaces and over 10 miles (17 km) of test tracks, the Sheffield-based company said Thursday in a statement. Dyson is already at Hullavington, this is just a big expansion, with a race track section and an off-road section as well as room for another 2,000 employees, per the Financial Times. 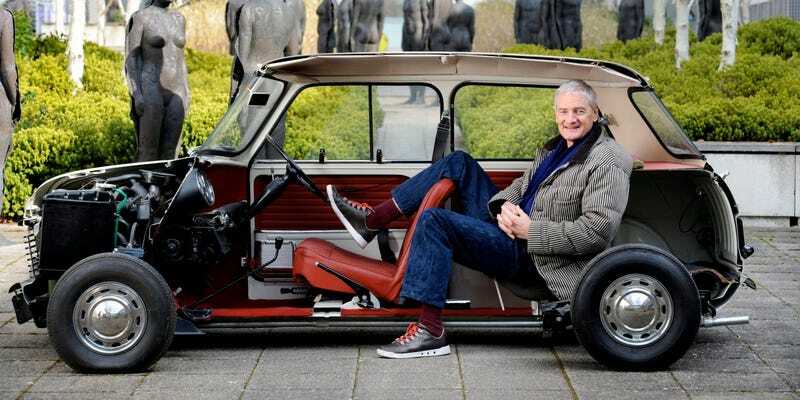 Dyson has been an interesting electric vehicle venture to follow, mostly because it has been the least-secret secret project I can remember. Dyson officially announced the program a year after the British government prematurely leaked its intentions. Then it turned out that a Dyson employee told Tesla about all of Dyson’s plans a year before that and Dyson had to go to court to prevent the guy from working at Tesla for nine months, then Dyson sued its former CEO for sharing information with... somebody. We don’t know whom. But all of this is interesting because Dyson’s plan isn’t awful. It’s planning three EVs from scratch and they’re using solid-state batteries, not the usual stuff you find in laptops and Teslas. If Dyson can get them to work, it’ll have a big tech advantage. In the world of EVs, that can be enough. We’ve been reporting on Dyson’s EV venture for about two years now, but it’s still bizarre to hear that the company has about 300 people in an automotive team and is looking to more than double that.